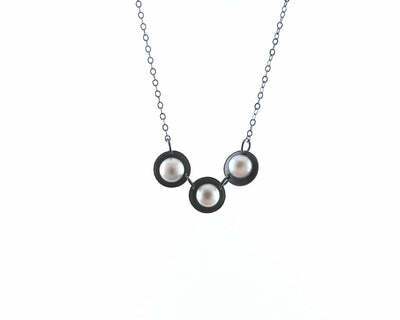 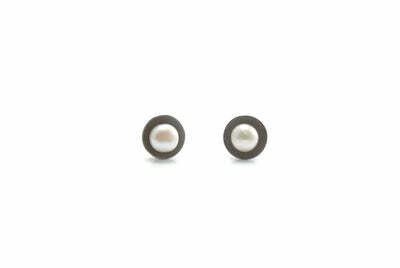 Oxidized silver circle with a pink fresh water pearl set off center. 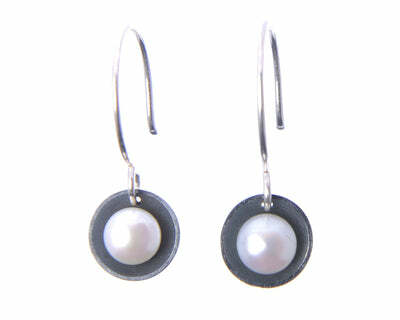 The pendant is made from fabricated and forged silver wires and is appx 1 1/2" in diameter. 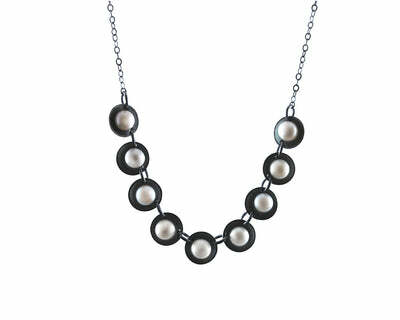 The oxidized silver chain is 17" long but can be made to any length upon request.